Spotify Free users can't download music while Spotify Premium users can only downloaded DRM protected Ogg files. if you want to save Spotify music as MP3 or M4A for different purposes, you need a Spotify music recorder. There are many music/audio recording programs, but only few of them can be used as a dedicated Spotify music recorder which can help you record Spotify music as MP3 or M4A in bulk with ID3 tags retained without repeated operations. 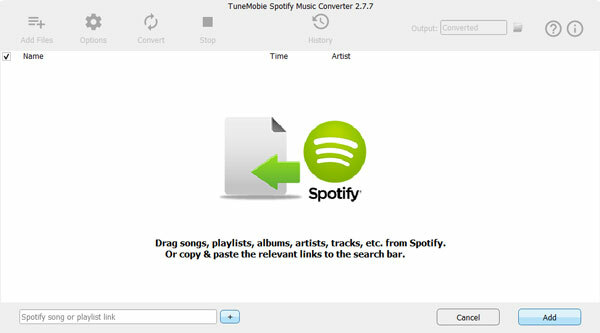 TuneMobie Spotify Music Converter is one of the best Spotify music recorders you should have a try. It's known to all that there are two plans for Spotify users, which are Spotify Free and Spotify Premium. One of the limitation of Spotify Free is no music downloading function. As to Spotify Premium, the downloaded songs are DRM protected Ogg audio files which can't be played on iPod, Walkman or MP3 player, or used as background music in video editing programs or apps. So if you want to enjoy or use your favorite Spotify music without limitation, you need to save Spotify songs as MP3 or M4A, for that, you will need a Spotify music recorder to make it done. There are many free or paid audio/music recording programs, and of course you can use any of them to record your favorite Spotify songs while playing. However, the disadvantages are also apparent. Each disadvantage brings inconvenience. And such a way to record Spotify music is inefficient and takes too much time. Is there any way to record Spotify songs in bulk but save the songs separately with ID3 tags retained? 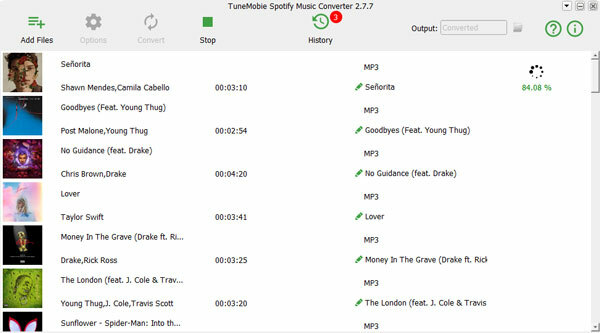 Sure, TuneMobie Spotify Music Converter is the best Spotify music recording program which can meet all your requirements. 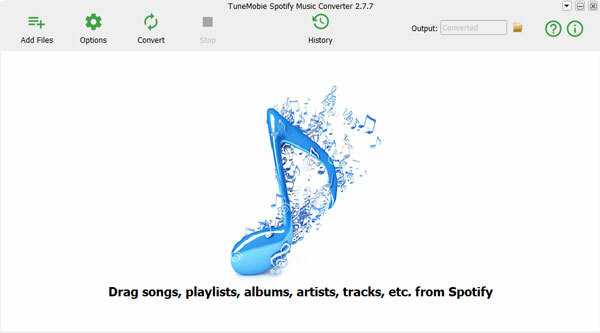 TuneMobie Spotify Music Converter is a professional and dedicated Spotify music recording program which can help you record Spotify songs, albums and playlists as MP3, M4A, WAV or FLAC in only a few clicks. Spotify Music Converter works with Spotify client software. You can directly drag and drop Spotify songs, albums and playlists to the program, or copy links of songs, albums and playlists to paste in the program. Once conversion is started, Spotify will play the added songs, albums or playlists in background, and Spotify Music Converter will record all the songs and save as separated music files. Song title, album, artist, genre, track number, artwork, etc. will be preserved in the output files as this smart Spotify recorder has analyzed the songs you have added. The Spotify music recorder works on Windows and Mac, and is fully compatible with latest Windows 10 and macOS Mojave. For Windows users, both Microsoft Store version of Spotify or official Spotify are supported. Besides, you can record Spotify songs at 5X speed on Windows. It's your best choice to record your favorite Spotify songs. Download and install this dedicated Spotify music recording software, then launch it. Then Spotify program will be automatically launched as well. Please do not close Spotify or do not manually play songs in Spotify. Click "Add Files", then you can add your favorite Spotify songs, albums and playlists by drag-and-drop or link's copy & paste. You can directly drag and drop songs, albums or playlists from Spotify to Spotify Music Converter or you can copy the link of a song, an album or a playlist, then paste the link in the blank area at the bottom of the program and click + or Add button. Spotify Music Converter will immediately detect all the songs in the album or playlist. By default, all the songs will be checked and you can unchecked the ones you don't want to save. By default, Spotify Music Converter will record the songs as 320kbps MP3. 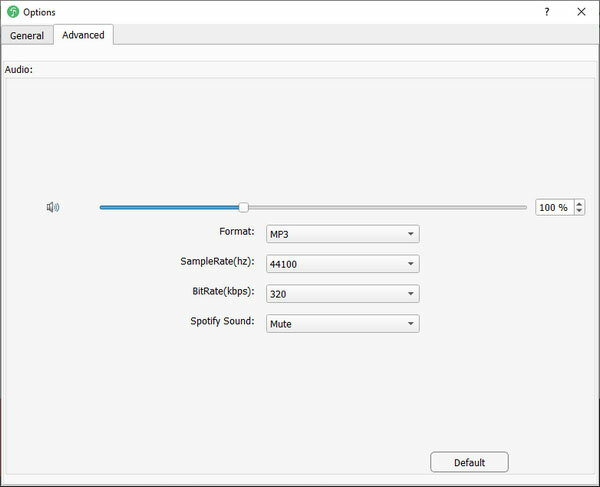 You can also click Options to change output format to M4A, WAV or FLAC if necessary. Now, simply click Convert button to start recording your Spotify music. All ID3 tags like song title, album, artist, artwork, etc. will be preserved. You don't have to manually edit ID3 tags like other audio recording programs. The songs will be automatically saved in separated files and you don't need to manually split them. In this way, you can record as many Spotify songs as you like, just like using Spotify Premium to download MP3 or M4A files. And with this professional and dedicated Spotify Music recorder, you can avoid all the problems in other music recorders.